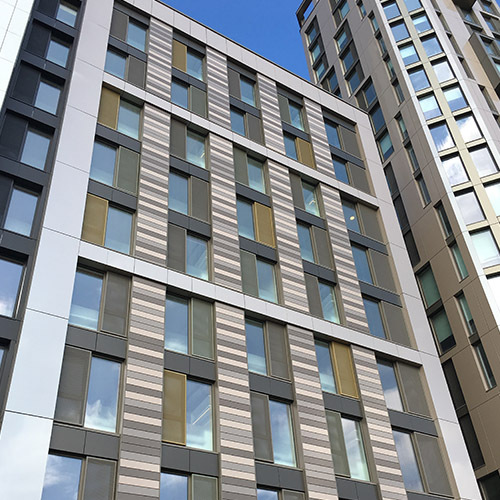 London based developer Pocket Living LLP, decided to build their new Bollo Lane mixed use residential scheme ranging from 3 to 13 storey’s, using modern building methods utilising prefabricated volumetric modular units manufactured off-site by Vision Modular Systems. Aluminium windows were installed by Century Facades Ltd at Visions factory. 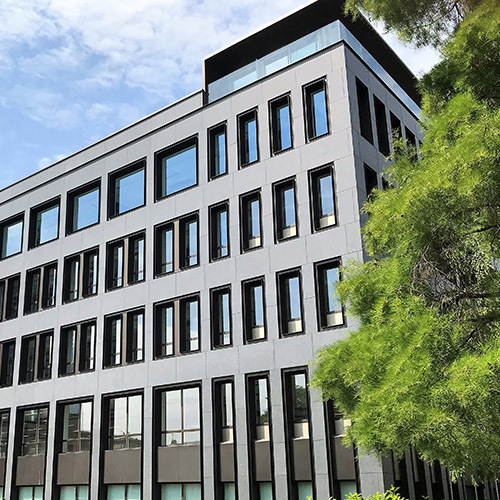 Century Facades has been appointed by Donban Contracting UK to carry out the complete design, supply and installation façade package including curtain walling, doors, louvre panels, GRC and terracotta cladding, and all associated feature metalwork items.